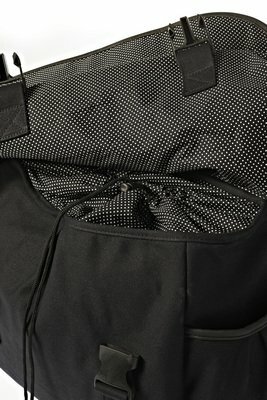 The Basil Katharina Black & Dots double bike bag is another trendy design and essential accessory. This water-repellent canvas back is both strikingly stylish and incredibly practica. The Basil Katharina Black & Dots bag is an easy choice when it comes to deciding on a double bike bag. The stylish dotted lining and faux leather details make it a stylish choice, instantly adding some character to your bike frame. 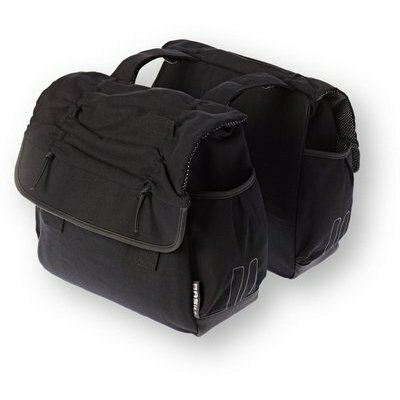 Ideal for shopping when you’re headed to the store, or the perfect companion for rides in the country, this bag boasts a generous capacity of 38 litres so you can take plenty with you or head home with a full list of groceries. The main compartments are connected via a simple cord, allowing you plenty of freedom when it comes to fitting more fixtures to your luggage carrier. Several outer compartments provide extra space for life’s little essentials. Subtle reflection accents add some extra style notes, while keeping you visible at night or in limited light. 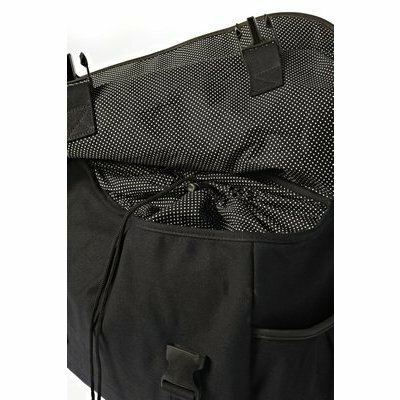 Easily fitted to your luggage carrier with the use of conventional straps. Dotted inner lining and faux leather details. Made from recycled canvas with water-resistant finish. Main compartment closes with connecting cord. Reflective details for safer night riding. Tas is prettig in gebruik voldoende ruimte voor mijn dagelijkse boodschappen. De tas is goed afsluitbaar door middel van een trekkoord waardoor er niets uit kan vallen. De snelbinders zijn goed bereikbaar. Tas is prettig in gebruik voldoende ruimte voor mijn dagelijkse boodschappen. 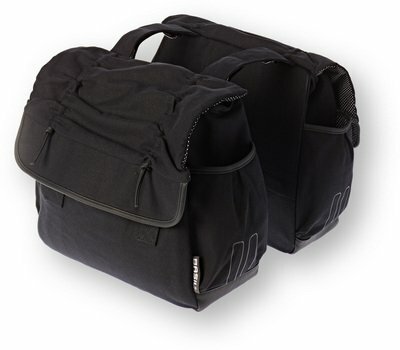 De tas is goed afsluitbaar mbv trekkoord waardoor er niets uit kan vallen Daarnaast zijn de snelbinders altijd goed bereikbaar. Aan de buitenzijde vd tas handige aparte vakjes die ik gebruik voor bv mijn waterflesje, regenhoesje van de schoenen enz. Reviews Een 0.8 gebaseerd op 2 beoordelingen.